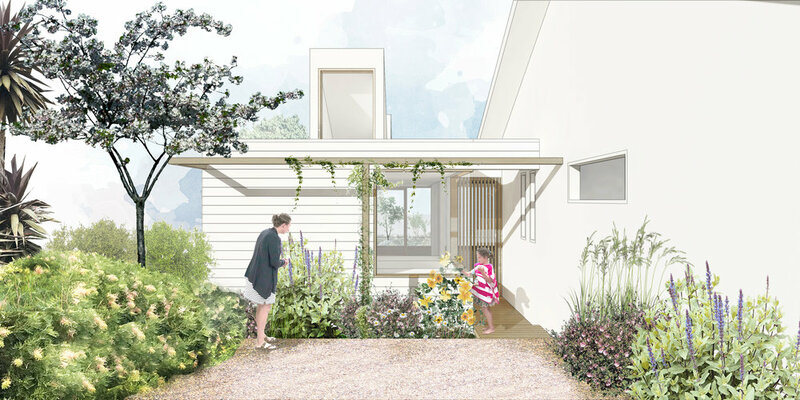 An alteration addition to existing single storey dwelling which seeks to accomodate the needs of a growing family and to improve the quality of the amenities. Reorienting the house to northerly aspect. Relinking the rooms to outdoor spaces. Carving existing outdoor spaces for increased usabiiity and appreciation. Embracing ideas above, the new house unfolds.